Sequence of images captured by Rosetta during its descent to the surface of Comet 67P/C-G on 30 September. 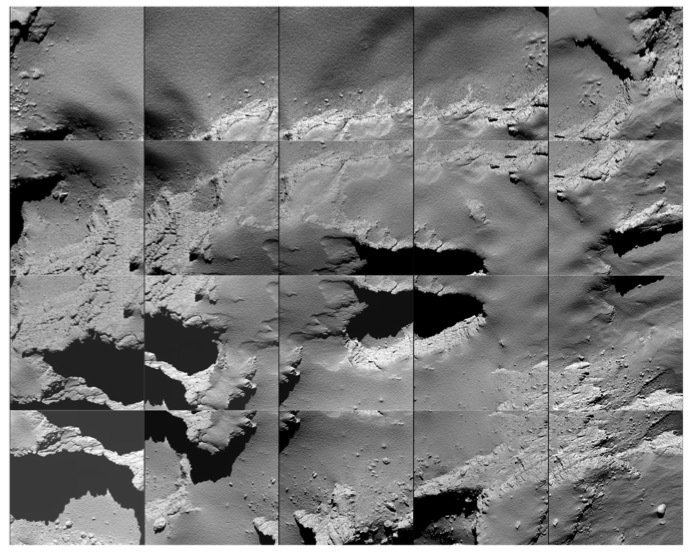 The last images in the first and second row (on the right) are published individually as Comet landing descent image – 5.8 km and Comet landing descent image – 5.7 km, respectively. Rosetta's target impact region is visible in the lower right part of the last image in the second row, as well as in the upper right part of the last image in the third row.